Stu­art Main Street and The Down­town Busi­ness Asso­ci­a­tion of Stu­art present Hob­gob­lins on Main Street, fea­tur­ing the Annual Hob­gob­lin Parade and FREE Fam­ily Fun­fest. This free event takes place on Osce­ola Street in Down­town Stu­art. 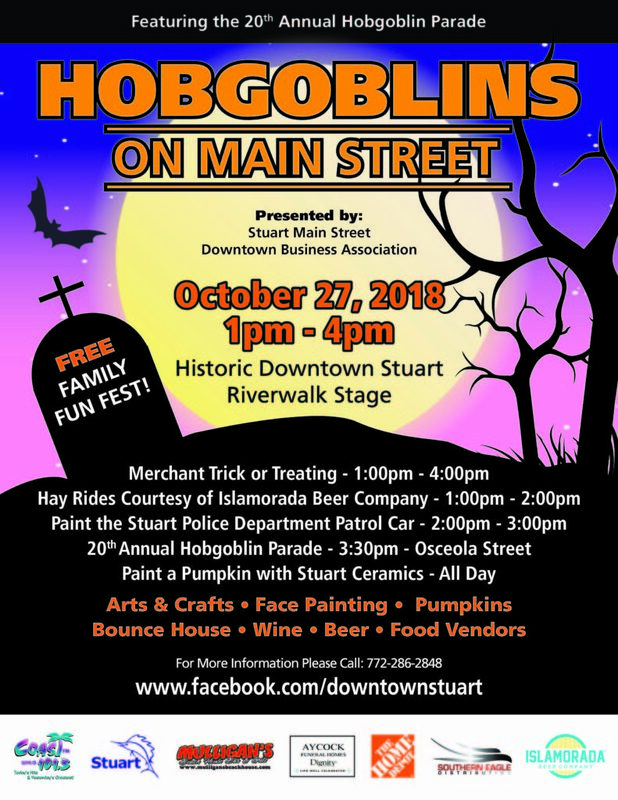 For more infor­ma­tion call (772) 286‑2848 or visit http://stuartmainstreet.org/events/hobgoblins-on-main-street/.